Is there a more adorable sight than a little girl skipping down the sidewalk, her bouncing ringlets gleaming in the sun? Sadly, most of those little girls don’t think their curls are as adorable as you might. A recent study commissioned by Dove revealed that girls, as young as 5, are six times more likely to have an aversion to their hair if it’s curly. And they’re nine times more likely to believe that if they had straighter hair they would be happier and have more friends. Sleek and straight hair continues to be viewed as the ideal of beauty in movies, TV, and fashion magazines, despite the fact that a number of women have naturally curly hair. Traditional beauty standards can wreak havoc on the self-confidence of those who aren’t born with straight hair. Little girls with curly hair grow up to be teenagers of course—self-conscious like many, but under the added pressure of being frustrated with their natural hair. And eventually, as they grow into adult women of their own, these once-little girls, still with curly hair, reinforce message to the children in their life that ‘straight is best.’ Only 10 percent of adult women feel proud of their curly hair; 70 percent of women feel they need to “tame” their curls. Spending countless time and money in a constant battle to flatten and smooth. So what can be done? Is it possible to change how impressionable 5-year-old girls view their curly locks? Can they be shown a way to develop a positive hair self-image and learn to love their curls, coils and twists? The research indicates that when you tell a little girl her curls are beautiful, she’ll believe you — especially if you are her mother or sister or aunt or grandmother. Dove Hair wants to help women inspire future generations to love their curls. 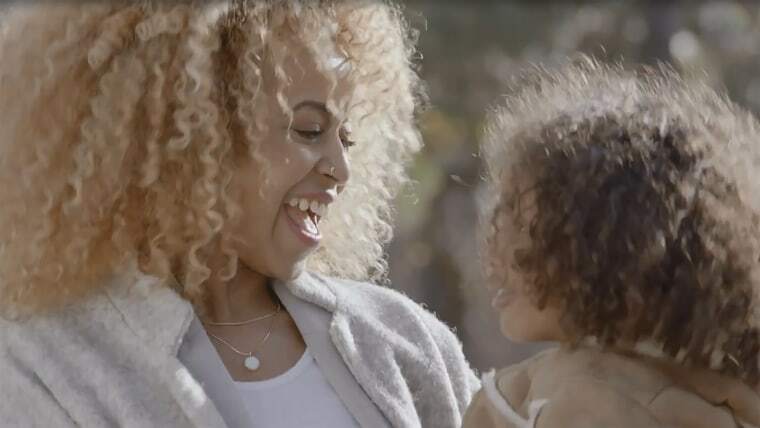 As part of their new #LoveYourCurls campaign, Dove Hair has created a powerful video that shows women and girls how to love and celebrate their curly hair, and helps set them on the path to grow into confident curly women.